Tim Curran, who hides himself away in Michigan’s Upper Peninsula, has got a pretty nifty bibliography. Reading the titles is a bit like travelling back to 1982 and checking out horror videos on the back shelf of the local hire shop. Don’t believe me? Well, try this: Hag Night, The Corpse King, and Puppet Graveyard. Cracking titles! William Zero, a.k.a. Dr. Blood-and-Bones. One of the most infamous butchers in U.S. history, a serial killer who skinned and dissected his victims. He killed a dozen people and then vanished without a trace. Now his deranged son, Eddy, is searching for him. He believes his father escaped into an alternate reality and the only way to follow him is by recreating his crimes and opening the doorway to Hell. And as Eddy hunts his father, he is hunted. Dr. Lisa Lochmere, a psychiatrist is hot on his trail, motivated by sexual obsessions she can’t even begin to understand. When she was a teenager she had an affair with an older man that turned into brutal abuse. Years later, she discovered her lover was none other than William Zero. And ever since, despite herself, she has had a certain sexual compulsion concerning him. A compulsion that only grew when Eddy was placed under her care at an asylum, only to be released by her superiors prematurely. Now she has tracked Eddy to San Francisco—the scene of his father’s crimes. She intends to find him, telling herself it’s for his own good and a book she wants to write, but in reality the reasons are much more personal. She has enlisted the help of James Fenn, a homicide detective, who wants to help her, but in reality has fallen in love with her, a woman who can know no love, only obsession. As Eddy kills and kills again and Fenn falls deeper in love with her, Lisa is drawn to the house where Zero dispatched his victims, believing it to be the place where Eddy is most likely to go. But it isn’t Eddy she finds there, but something far worse. 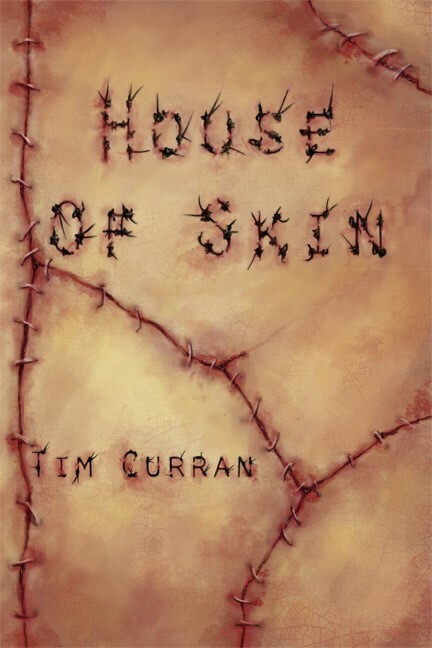 Nothing—and no one—is what they seem in the House of Skin. For more info on Tim himself, go to his official website.